Today we are baking cupcakes for Christmas. They are really simple. 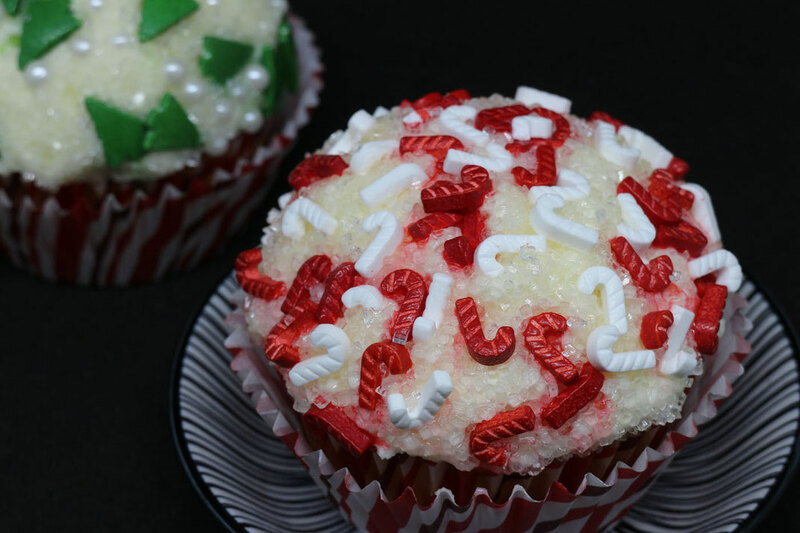 You just need some Christmas sprinkles like I used this cute candy canes and transparent sugar sprinkles. 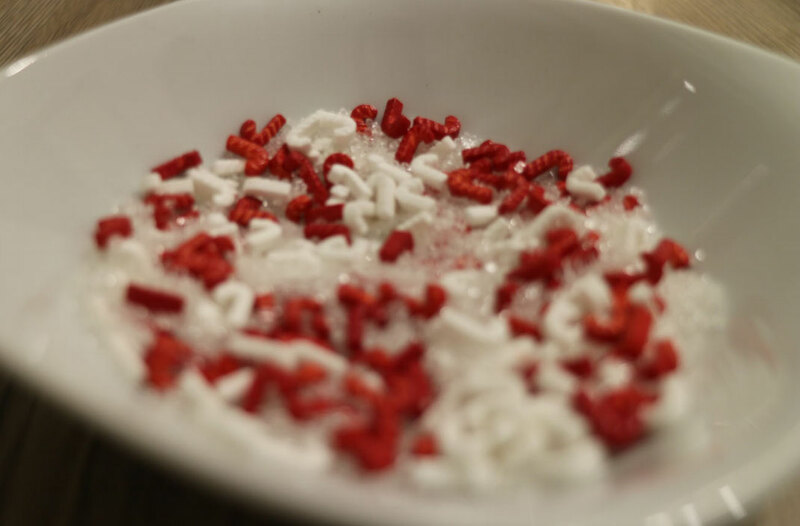 Mix both kind of sprinkles in a small bowl. 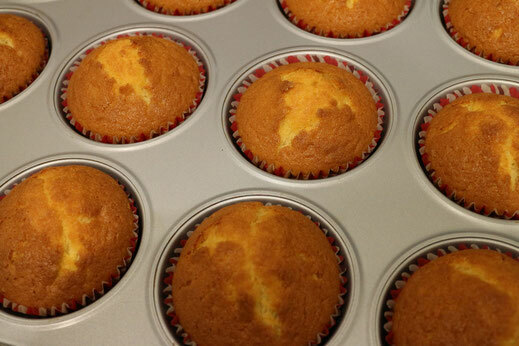 For sure before You can decorate your cupcakes You need to bake them :-) Any kind of recipe is alright or you can use my cupcake batter recipe. 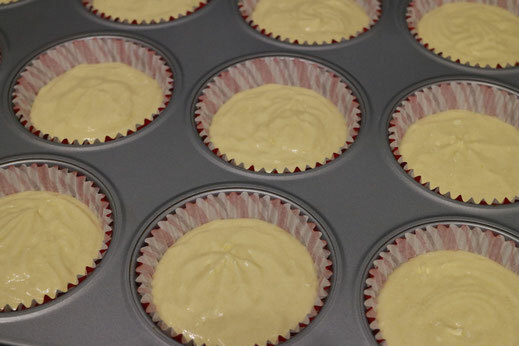 After the cupcakes are cooled down you pipe or spread frosting on the cupcakes (again any kind is fine as long as it's white). Now you rotate the cupcakes with frosting facing down as Long as the frosting is totally coated with sprinkles. 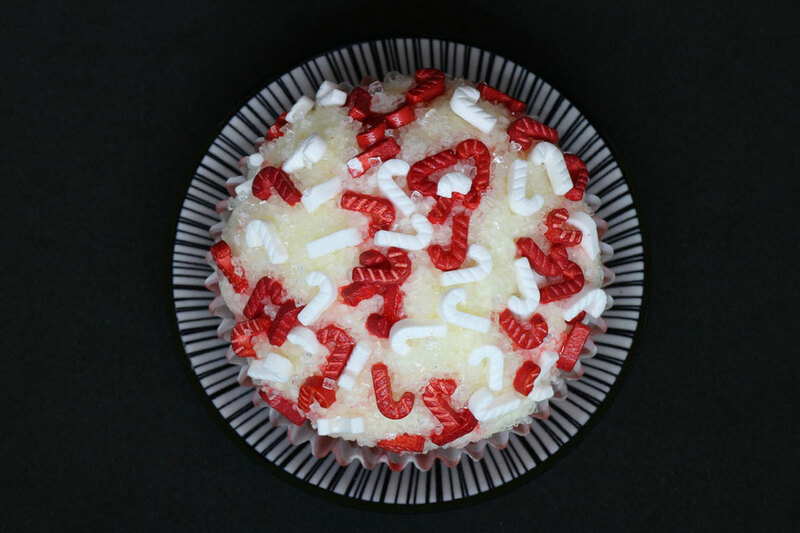 That's how you get your finished Christmas snowball cupcakes :-) You can also use different kinds of sprinkles if you don't have candy canes available (like I did for the second variant with little trees).